Our nurturing teachers help your child learn! 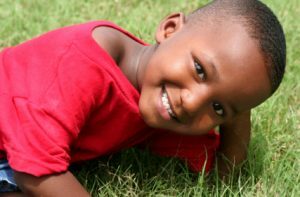 As children grow into toddlers, they continue to quickly develop, change, and grow into their own individuals. In our Toddler Program, the children are encouraged to express and share these unique personalities. 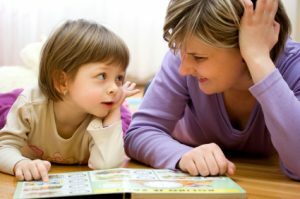 Weekly lesson plans are created by the toddler teachers to expose and guide the toddlers into learning the skills essential for healthy emotional, physical, and intellectual development. Through exploratory play and creative dramatization toddlers will be practice their manners and interpersonal skills, learn conflict resolution, learn to express their emotions, and begin using their verbal skills. The fun and curious learning continues with sensory hands-on activities to help with the fine motor skills, music with instruments, dancing, singing, yoga, outside playground time for gross motor development and strengthening, story time, and circle time. At this time the toddler teachers also begin to foster the independence of the toddlers. The children now begin to feed and drink on their own, with the assistance of their teacher and classroom assistant. The toddlers also begin the process of potty training, at which time the teachers and assistants work very closely with the families to make this developmental transition as successful and effective for both the toddlers and their families. At pick-up time, parents/guardians will receive a "Daily Gram", which allows the toddler teacher to provide families with daily communication of their toddler's day. In the gram the parent/guardian will know how the toddler ate, slept, pottied, what he/she enjoyed throughout the day, what type of mood he/she was in, and any other pertinent information relating to his/her day. All of our classrooms have an "Open Door Policy" and we encourage families to call and or visit your child's classroom at any time.